Geir O. Pedersen of Norway has been appointed the new Special Envoy of the Secretary-General for Syria. In this file photograph, he briefs journalists at the UN Headquarters. 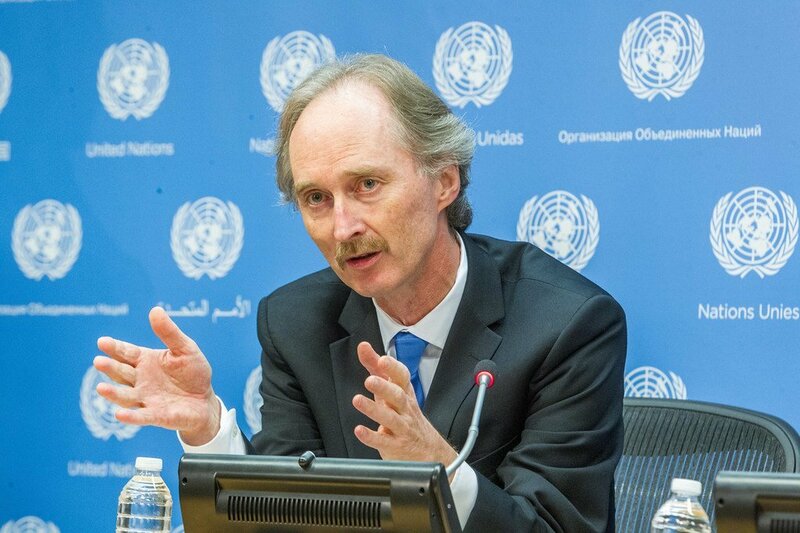 United Nations Secretary-General António Guterres has appointed veteran Norwegian diplomat Geir O. Pedersen as his next Special Envoy for Syria. Mr. Pedersen succeeds Staffan de Mistura, who announced earlier this month that he will be stepping down in November after serving as the UN chief’s top envoy for the war-battered nation for over four years. According to a note issued by the Secretary-General’s office, Mr. Pedersen “brings to the position decades of political and diplomatic experience”, having served both in Government and UN capacities, including as Norway’s Ambassador to China since last year and as Permanent Representative to the UN for five years, from 2012. At the UN, Mr. Pedersen served as the Special Coordinator for Lebanon between 2007 and 2008, and before that, was Personal Representative of the Secretary-General for Southern Lebanon. He was also Director of Asia-Pacific Division at the Department of Political Affairs. Appointed the Special Envoy in July 2014, Mr. de Mistura continued to work with all parties involved in the Syrian conflict to push for lasting peace, in line with Security Council resolution 2254, which endorsed a Syrian-led, Syrian-owned roadmap towards peace. Though his tenure coincided with the bloodiest period of the crisis, with warring sides employing “medieval sieges”, barrel bombs, human shields and snipers in densely populated civilian areas, an undeterred de Mistura continued to push all sides in the conflict to adhere to the peace roadmap as well as urging that world leaders seize any “window of opportunity” to end the war. The crisis in Syria, which started with largely peaceful protests against President Assad in March 2011, has so far claimed over 400,000 lives and driven some 11.7 million people from their homes, including over 5.5 million to seek refuge into neighbouring countries. 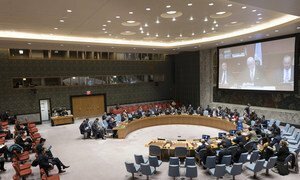 The difficulties of “keeping everyone onboard” an agreed path to peace in Syria highlights that “radically different” approaches are likely doomed to failure, the out-going United Nations Special Envoy for the war-torn country warned on Friday.